Thomas Walters is an outstanding leader, passionate speaker, author, trusted advisor, consultant, and President/Owner of several successful insurance agencies in the Raleigh, North Carolina area. A Raleigh native, Thomas earned his BSBA in Marketing from East Carolina University. After college Thomas began his business career with Wachovia Bank in commercial banking. In 1993 Thomas started his first Allstate Insurance office. Since then Thomas has been recognized by Allstate Insurance as a company leader. His agencies consistently rank in the top of over 13,000 agencies countrywide. Thomas has also named been named Agency of the Year for the state of North Carolina twice. In the past 23 years Thomas has received Awards and Recognition for Inner Circle, Chairman’s, and Leaders Forum many times. Thomas is currently a Mega Agency Owner. In 2009 Thomas was selected from over 13,000 agents as the Ray Lynch Community Service Award Winner for Allstate. One of only sixteen recipients in company history, Thomas was also honored in Washington, DC with the Jefferson Award for Community Service and named to the Triangle Top 50 Entrepreneurs. Thomas has worked with every phase of the Allstate agency model from scratch startup, small, medium, large, and mega agencies. He has participated with many satellite and merger scenarios. Thomas brings a very strong process management aspect along with a keen marketing skill set that is an asset for those agency owners that wish to grow their business opportunity. Thomas currently serves on the National Allstate Agent Advisory Board as well as his state and regional Board. At the National level Thomas is the current Co-Chair of the Agency Customer Experience group. 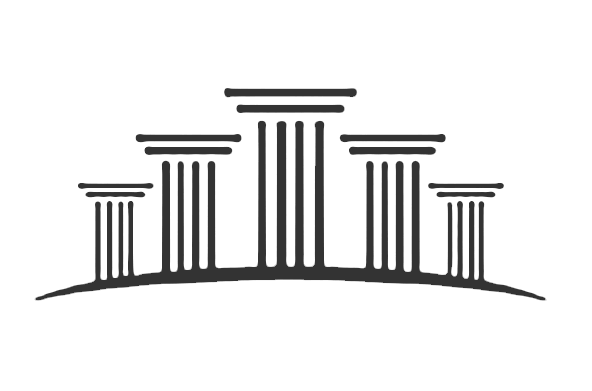 This work encompasses technology, workflows, and operational efficiencies for both agencies and customers. Thomas is a leader in his community having served as the Chair of the local YMCA as well as a Board Member of the Triangle YMCA regional association. Thomas also serves as President and a board member in Kiwanis as well as a past president and director of the local Fire Department. Thomas served his town politically as a Town Commissioner and Mayor Pro-tem. Thomas also represents Allstate as a Board Member of the National Organization of Students Against Violence which is funded in part by the Allstate Foundation. Thomas resides in Wake Forest, NC with his wife, Jennifer and three sons. 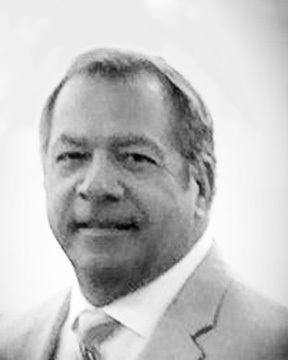 Lee Herring is an executive consultant with over 35 years of experience in his field. Lee enjoyed a successful career as Senior Sales Leader with Allstate Insurance Company where he was involved in agency operations throughout the Southeastern United States. He was recognized with the Key Manager award multiple times as well as winning Allstate’s coveted Spirit of the Eagle award sales going to the top sales leader in the country, He launched Herring Consulting Partners in 2011 where his client base included both buyers and sellers of Allstate insurance agencies. Through his successful consulting practice, Herring has played an integral part in the sale or purchase of over seventy five million dollars of earned premium for his clients. He is recognized as a leader within his field having established a strong referral based business that continues to meet and exceed the needs of the clients he serves. Lee is very active in his community having served as past Board Chair of The Michael O’Neal Singers, Inc. located in Roswell, Georgia….the largest auditioned chorus in the southeast. While serving as its Chair, the organization experience significant revenue and audience growth under his leadership. He has served on the Board Chair Consortium which includes arts and culture leaders for the greater Atlanta area. Lee is a long standing member of the Board of Visitors of the College of Arts and Science at his alma mater, Jacksonville State University. He is an active member of the 10,000 member Mt. Bethel United Methodist Church in Marietta where he has held a leadership position on the Administrative Council as well as lay leader in the music ministries of the church. Lee and his wife, Gail, reside in Marietta, Georgia. Chris Mackay is Managing Partner of Energia Consulting Partners. He is an executive consultant with successful entrepreneurial background and excellent business operations management skills. His strong work ethic, determination and goal driven orientation has supported any business venture he has pursued. Chris built a multi-million dollar agency while representing Allstate Insurance Company starting with a single, scratch location growing to three agencies. His business was in the top 2% of Allstate agencies having been recognized for his outstanding performance. More recently, Chris has been active in the Venture Capital and Private Equity marketplace supporting small to medium sized entry level start up business ventures. Chris is involved in his community having begun the Gordon Jeans Foundation that supports our veterans. He resides in Apex, NC with his wife Annie and son. 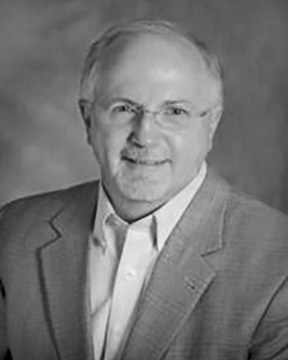 Kirk Price has been in the insurance and financial services industry for 40 years. He has worked in all areas of sales including Sales Leadership, Management, Education, Compliance, and as a Registered Principal for Allstate Financial Services, LLC. His main responsibility was recruiting new talent for the Corporation which is what he still does today as an Associate Partner with Energia Consulting Partners. He received numerous awards and recognition in his roles both as a personal producer, and as a Sales Leader. As an Agent and Sales Leader, Kirk earned the Honor Ring, Life Millionaire, National Champions, Passport, Chairman’s, and Chairman’s Inner Circle awards as well as the prestigious Key Manager Award 17 times. He also earned industry recognition with the National Quality Award and the National Sales Achievement Awards for excellence in sales volume and quality new business. During his 30 year tenure with Allstate, he was widely recognized as the top recruiter year in and year out both within the Southeast Region and Nationally. Kirk holds the professional designations for LUTC, (Life Underwriter Training Council) and CLU (Chartered Life Underwriter). He is a graduate of the University of Georgia and a member of the 1976 UGA SEC Championship Team which also played for the National Championship in the Sugar Bowl against Pitt in January 1977. He lettered as a freshman in 1973 and was selected to the Birmingham News/Post Herald All SEC Freshman Team. He is currently President of Price Consulting, LLC where he recommends, counsels and advises candidates who are interested in starting a career in the insurance industry with the most recognized name in the business. He also serves as a Financial Specialist and Consultant with The Price Agency in Birmingham Alabama. 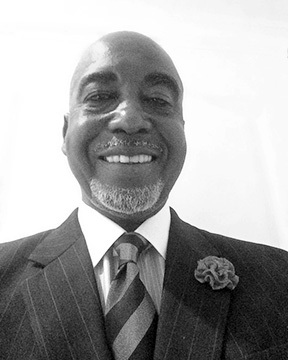 Attorney Charles (Chuck) McGhee is the President of SteelGhee Consulting, LLC and has over forty years of business and insurance experience. He has worked extensively with Agency Owners and Purchasers in the evaluation, sale, and purchase of Allstate books of business. He has also hired and trained many agents and staff persons, while being intricately involved in the growth and development of new and existing agencies. This has included both the installation and implementation of processes designed to drive agency successes. During his career at Allstate Insurance Company, Chuck served in several states in the Midwest and South as an Agent, Sales Leader, and Executive Training Manager. His accomplishments included the Life Leader, Chairman, and the Prestigious Key Manager awards. Chuck distinguished himself by earning the Territorial Manager of the Year Award seven times, and the prestigious Key Manager Award twenty three times (the most by any manager in the Southeast at that time). He currently serves as Steward Board Chairman and Men’s Retreat Co-Chairman at his Church. He also serves on Boards that include: Sisters Inspiring Sisters Through the Arts (SISTA), Malon D. Mims Boys and Girls Club, and the Tuskegee University Annual Alumni Golf Classic. He is a member of the Alabama State Bar Association and the Omega Psi Phi Fraternity. Chuck and his late wife Mirian were married for 45 years and have two daughters, a wonderful son-in-law and one grandson. 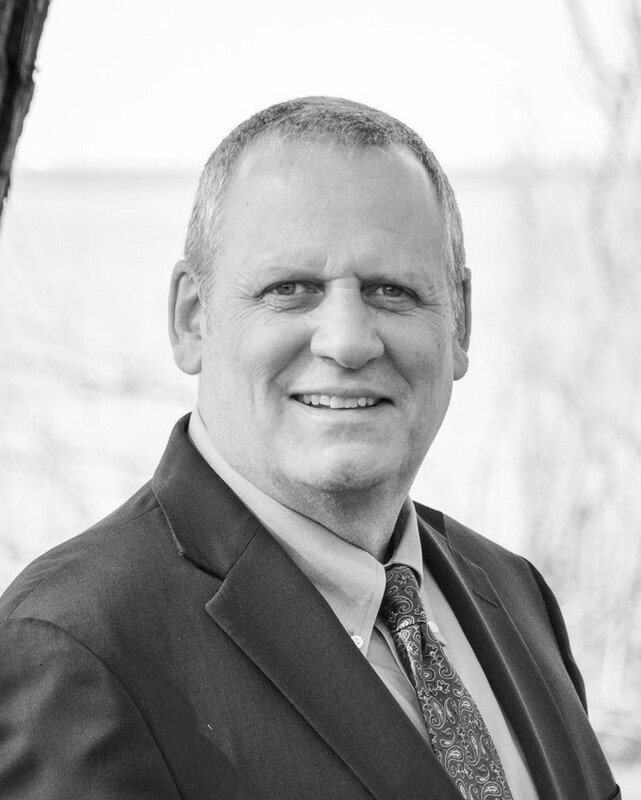 Bob Duhe has an extensive background in property & casualty and financial insurance sales and leadership. Bob retired from Allstate Insurance Company after 32 years of service. He began his career as a retail agent and then moved into sales management and leadership positions. Market Sales Leader, Territory Education Manager, and Territory Sales Leader are the roles he served in. 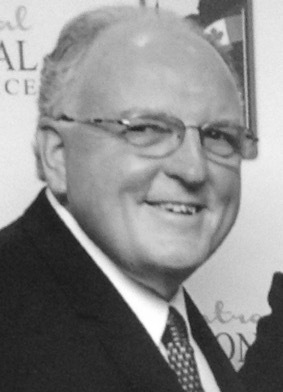 Bob served the majority of his career as the Territory Sales Leader in Louisiana. His geographic markets at times included the entire state of Louisiana and the Mississippi Gulf Coast. Pre and Post Katrina Bob worked extensively with the individual agencies and the sales leadership team in South Louisiana and the Mississippi Gulf Coast leading them successfully through the extremely challenging environment of the Post-Katrina world. Throughout his career he has worked diligently with the agency owners and sales leaders to facilitate the best possible agency growth and profitability results in an ever changing insurance environment. Bob leads with passion, integrity, and the commitment of doing what you say you are going to do…and have fun doing it! He will bring that same passion and commitment to his clients as a Regional Consultant with Energia Consulting Partners. Bob looks forward to working with potential agency buyers and existing agency owners as they transition through their careers. As a Regional Consultant in the Southern Region Bob will primarily focus his efforts in the states of Louisiana, Mississippi, Arkansas, Tennessee, and Kentucky. During his Allstate career Bob earned the Sales Leader Key Manager award 18 times. He earned the coveted Spirit of the Eagle award for top sales leadership in the Company twice. Bob is a lifelong resident of South Louisiana. For over 20 years he enjoyed working high school football games in the greater New Orleans area. He and his wife Kathy have been married 48 years. They have three daughters who have blessed them with eight wonderful grandchildren. Family is the center of their lives. And yes, when the New Orleans Saints are playing in the Superdome you will definitely find them there! Gilbert Granados is an accomplished business leader, certified business coach, speaker, and trainer with over two decades of experience in the insurance industry. Gilbert spent twenty five years as a part of the Allstate Insurance Company in the state of Texas. Over the course of his career Gilbert held positions as a Market Sales Leader, New Agency Consultant, and as a Territorial Education Manager. During his time with Allstate Gilbert was a Key Manager 13 times, Agency Manager of the Year for Texas and was nationally ranked among company leaders with a Spirit of the Eagle honor from Allstate. His background gives him a wealth of knowledge for helping agency owners establish high performance organizations through leadership and process delivery. Gilbert knows how to leverage technology and market opportunities to create immediate impacts in agency performance. Gilbert is also well equipped to recruit and deploy new agency owners with the tools that they need for success. After Allstate Gilbert purchased a small business, scaled the business, and sold it to a national corporation. Gilbert understands the unique challenges that business owners face as they buy and sell businesses. He knows the value of having a solid business plan, good communication with everyone in the organization, and proper training programs. 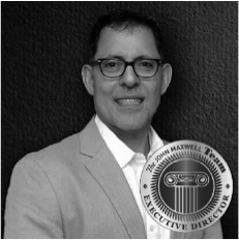 Gilbert feels so strongly about helping business owners succeed that he became a director and certified business coach in the John Maxwell organization. Through that role Gilbert performs workshops, keynote addresses, and both short and long term coaching engagements. Gilbert is currently the host of a radio show entitled “Play with a Plan”. He believes that you should live your live by design, not by default. You should build your business with intention, design and protect your time and calendar. Gilbert and his wife (an Allstate Agency owner), are residents of San Antonio Texas. Gilbert is a proud father of three children and has 2 grandchildren. Gilbert is a member of the Board of Directors for the San Antonio Hispanic Chamber of Commerce and a graduate of New Mexico State University. As a Regional Consultant with Energia Consulting Partners Gilbert will have primary responsibilities in the state of Texas. Jim Krogmeier has spent the last 35 years working in the sales management and insurance business. He has worked extensively in the areas of hiring, training and facilitating Agency Owners to help grow their businesses and achieve their goals. 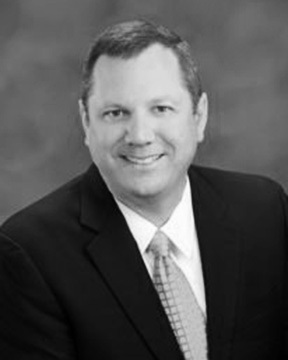 Jim has experience in Insurance sales, sales management, recruiting, Agent Education and Financial Services. He most recently spent the last five years recruiting new agents to Allstate Insurance in Arizona, New Mexico, Nevada, Oklahoma and Utah. He built a team to support the agents in these five states to help them recruit and train support staff for their offices. Before moving to the Phoenix area seven years ago, Jim worked in Iowa, St .Louis, Mo, Chicago, IL, Wisconsin and Minnesota. He primarily worked with Allstate agents through recruiting, training, and establishing their agencies. His success in this area is evident with the many awards and company promotions he received. Jim enjoyed a successful career with Allstate Insurance Company where he was recognized with awards in leadership for developing insurance agencies and territories that spanned over time into 5 different states. Jim has won the prestigious Key Manager award several times as well as winning Allstate’s coveted Spirit of the Eagle award as the top sales management team in the country. Jim has also been invited to Allstate’s training center to help write curriculum for new agents and to train new agents. Jim has always enjoyed showing individuals the business opportunity that comes from owning an insurance agency. According to Jim his time spent developing agency owners has been extremely rewarding as he has seen many agencies succeed. Upon retirement from Allstate Jim assumed the role of Founder and President of JSK Consulting where he has been able to help agents develop processes within their agencies to grow through organic and internal growth. He also helps with recruiting developing and training new staff for their agencies. Jim and his wife Susan reside in Scottsdale Arizona. They have two daughters and three grandsons. They are members of St. Patrick’s Church and active in various organizations in the community. Energia Consulting Partners is pleased to add Jim to our team as a Regional Consultant in the Southwest region. Jim will have primary responsibilities in Arizona, New Mexico, Nevada, and Utah. 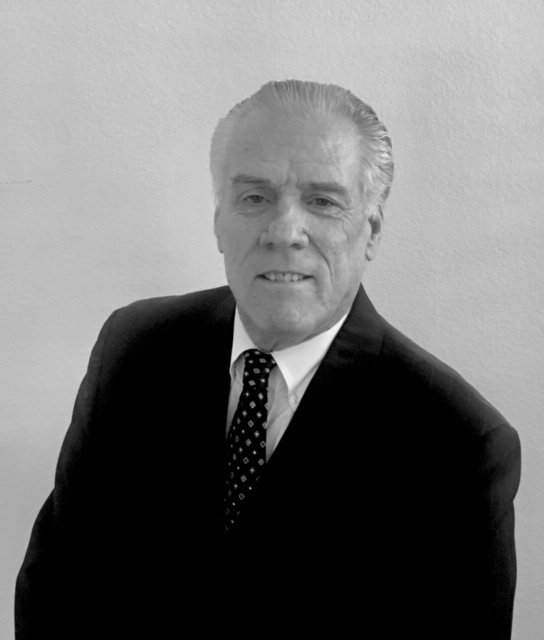 Kevin O’Hara has been in the insurance and financial services industry for 37 years. 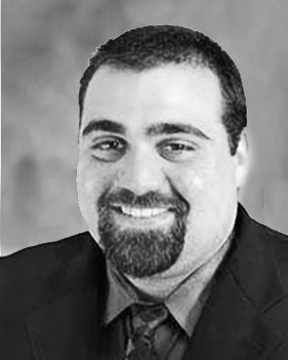 His experience in multiple functional areas of the industry, including Property & Casualty Underwriting, Underwriting Operations, Personal Production (Registered Representative) and Field Sales Leadership, gives him unique insight into the process of buying and selling insurance agencies. Kevin’s primary responsibility as a Field Sales Leader with Allstate was matching qualified individuals with outstanding opportunities in the company’s agency system. As a key part of that process, he played an integral role in helping existing Allstate agents sell their agencies to highly qualified individuals. This work continues today as a Regional Consultant for Energia Consulting Partners. Kevin will focus a majority of his time with agencies in the states of Florida and Alabama. Kevin received numerous awards and recognition in his roles as both personal producer and Field Sales Leader. As a personal producer, he achieved President’s Club (Penn Mutual) and Honor Ring (Allstate). As a Field Sales Leader with Allstate, Kevin achieved multiple Key Manager, National Champion, Chairman’s and Chairman’s Inner Circle Awards. He still ranks, however, the process of matching highly qualified individuals with outstanding agency opportunities as his greatest legacy. Kevin also honed his leadership and analytical skills for 25 years in the Air National Guard/Air Force Reserve as an Intelligence Applications Officer, Senior Intelligence Officer and Chief of Intelligence Operations. During that time he served in both Operations Enduring Freedom and Iraqi Freedom. Kevin is a 1980 graduate of Mississippi State University and also attended Mississippi College, where he was a letterman on the Track and Cross Country teams.